(Bridgewater, N.J., Sept. 23, 2017) – Despite the results on the field, Friday night was a memorable and historic one for the Somerset Patriots. 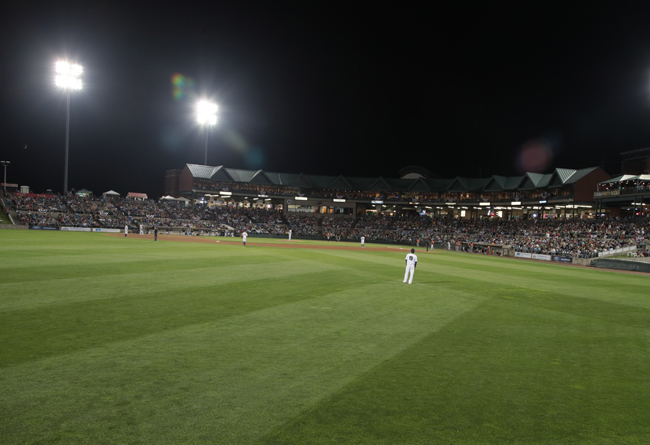 A franchise and Atlantic League postseason-record 8,131 fans came out to TD Bank Ballpark for Game 3 of the Liberty Division Series against the Long Island Ducks, overshadowing a difficult 6-1 defeat that put Somerset down two games to one in the best-of-five series. “I couldn’t be more proud of our staff and am really thrilled with the support we have from our community,” said Patriots general manager Patrick McVerry. A big turnout is nothing new for Somerset, which led the league in regular season attendance with a total of 342,231 fans in 66 openings, an average of 5,185 per night.